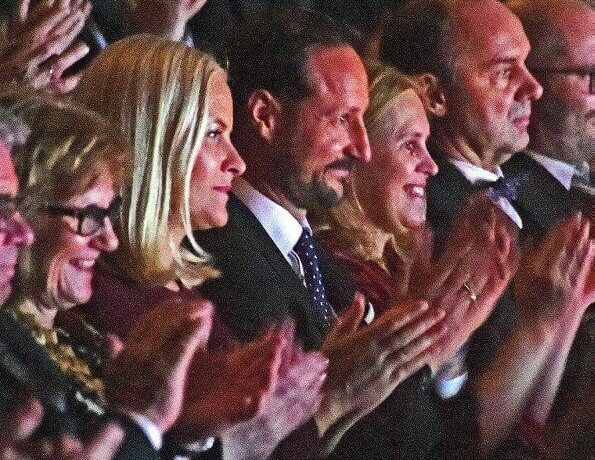 On December 4, 2018, Crown Prince Haakon and Crown Princess Mette-Marit attended a gala performance at Norwegian Theater (Det Norske Teatret), held on the occasion of 100th birth anniversary of Norwegian poet Hans Børli. Børli was born in 1918 and died in 1989. He was a Norwegian poet and writer and in addition to that, he worked as a lumberjack all his life. His first collection of poetry, Tyrield was published in 1945. Until the mid-1950s, he published books almost annually, both as poetry and prose. 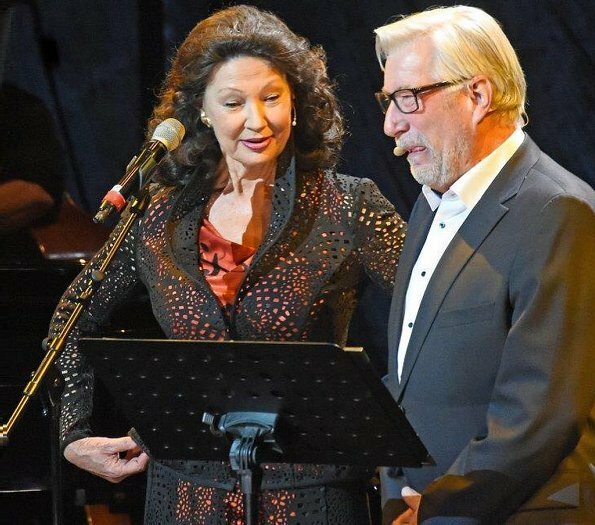 This red dress looks very beautiful on Mette Maritt (there are more pics norweagin tableau). Very nice and she looks healthy good for her.